With auto loan delinquency rates rising, it would seem to be a good time to be a repossessor. But that’s not the case. Tow truck and vehicle insurance prices are climbing; license, bond, and other compliance-related costs are increasing; technology spending — to boost internal efficiencies and maintain a competitive edge — is growing. Meanwhile, lenders seeking to reduce loss-mitigation costs are trimming repossession fees. 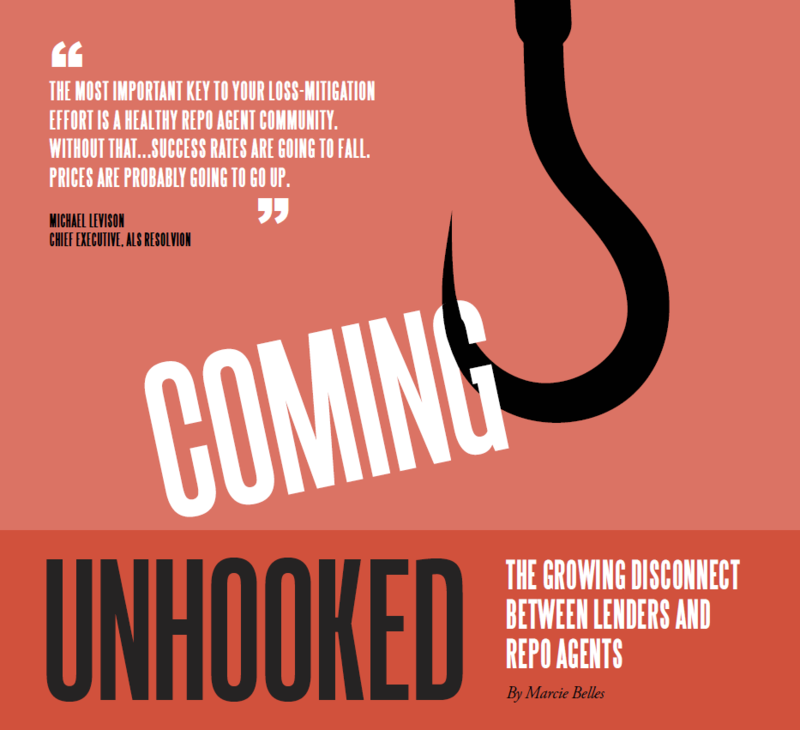 Combined, these factors have put the squeeze on repossession companies and led hundreds of agencies to shut down. That’s bad news for the auto finance industry. Lenders and repossession companies, however, are starting to reevaluate the way they work and experimenting with new business models. Every year for the past decade, expenses have climbed for repossession firm Absolute Recovery. Trucks have become more expensive, diesel fuel prices have risen, and insurance has become harder to get. Revenue growth at repo services companies has been slowing, too, in recent years. Whereas revenue increased 6.5% in 2013 and another 12.8% in 2014, it slowed to 1.2% in 2015, according to market research company Statista. Projected revenue growth in 2020 is expected to drop to 0.6%. While captives and national banks tend to rely on forwarder models, smaller lenders are more likely to employ a direct-agent structure. Also, the direct relationship allows for some give-and-take with agents. “In those relationships, I can pay my agent more and, sometimes, I can demand a little bit from the agent,” he added. While lenders keep a tight rein on recovery metrics, repo agents have also cracked down on the accounts they are willing to work.